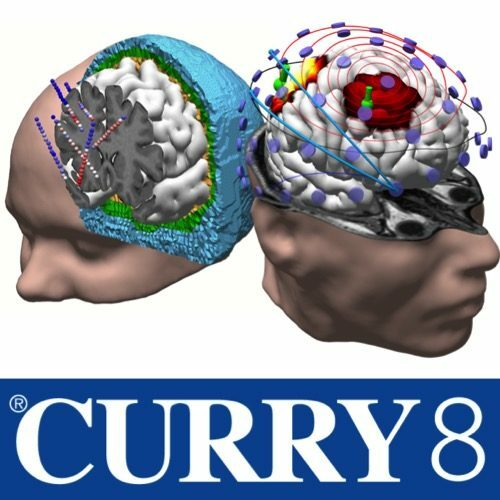 The CURRY 8 Signal Processing, Image Processing and Source Analysis for ERP Research (SBR) Package is special version of CURRY 8 which includes all the tools required for EEG/ERP Research. The package contains all the functionality of the CURRY 8 Signal Processing, Basic Image Processing and Source Analysis (SB) Package and on top of this quite extensive functionality for performing source analysis based on standardized realistically shaped head-models. To view a comparison of the various features of the CURRY 8 SBR package against the functionality of the CURRY 8 SB and SBA packages, please see here (comparison opens in new window).